In a region of the United States where Anaplasmosis is a cause for concern in the cow herd, Bob Black doesn’t worry about his herd catching the infective blood disease that can decrease performance, cause weight loss, abortion and ultimately death loss. The fifth-generation cattle producer focuses on managing his herd’s immune system function and investing in a sound nutrition program. And in addition to ranching with his brother, he owns Elk County Veterinary Services at Howard, Kan., and has been a BioZyme® dealer for nearly 18 years. The Blacks run a cow-calf operation in southeast Kansas where they concentrate on raising cattle with a high carcass quality to provide the consumer a safe and favorable eating experience. The brothers wean nearly 300 calves each year, and Dr. Black says he can’t remember treating any animals for Anaplasmosis since they have been feeding VitaFerm® products. The cow herd on the Black’s operation eats a forage-based diet with minimal supplementation. However, the VitaFerm products they do feed offer maximum nutrition in key trace minerals of copper, zinc, selenium and magnesium. In addition, Amaferm is a great resource to help break down the forages and convert them to energy. Dr. Black has used LONGRANGE® to control parasites such as ticks that spread Anaplasmosis for the past three years. In addition, he manages their body condition score to keep cows between 5-6 BCS, with a goal of 90% conception rate. He says if the cows get too much condition, they lie around and don’t graze, and therefore are not as healthy. “It all comes down to proper management and animal husbandry” Dr. Black said. Although he has chosen to ward off Anaplasmosis by proactive management techniques, he does sell CTC to some customers. Dr. Black’s goal is to use his personal successes to demonstrate the Amaferm advantage to sell more BioZyme products. 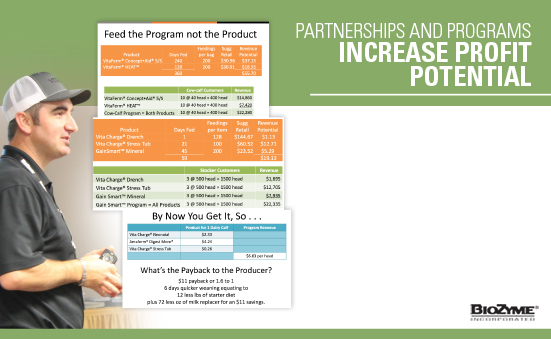 You invest a lot of time and energy helping your customers develop nutrition programs that help them put more dollars in their pockets. But, with the introduction of the Veterinary Feed Directive (VFD), now is the time to make sure your records are in order so if you are audited, your checkbook doesn’t take a hit with heavy fines in the future. Have you filed with the FDA? Do you have a person in your dealership to track the directives? And did you know software programs exist to help you track sales of medicated feeds? 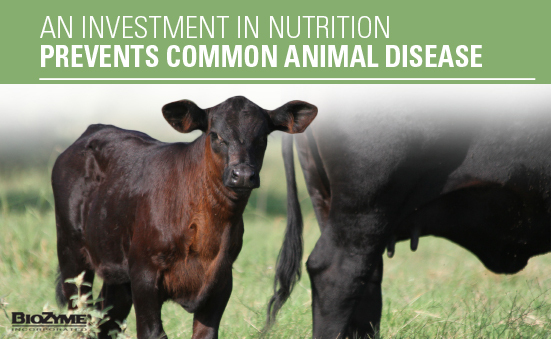 All distributors of VFD feed must notify the FDA prior to selling any feed or supplements. Any changes of feed dealership name, ownership or address must be submitted to the FDA within 30 days of the change. Th e only way you can sell VFD feed or supplements is with a complete written order from a veterinarian, similar to a doctor’s prescription. Once the order is filled, you must retain the directive and proof of sale/distribution. All records must be kept for two years, and be readily available to the FDA if requested for inspection/audit. The BioZyme® staff has created a sample form to make sure that you have a complete directive, and everything is in order before you sell any medicated feed. Visit the Online Dealer Center at www.biozymedealer.com and click on “Regulatory Center” to download the sample forms. A simple Google search will result in several software and online options for feed distributors to use to track records when selling VFD feed and supplements. You can also create your own document in Excel to track sales and record the directives. However, according to Kevin Glaubius, Director of Nutrition and Technical Sales for BioZyme, an actual paper trail needs to exist, and dealers will need to have hard copies of directives on file, not just electronic versions. 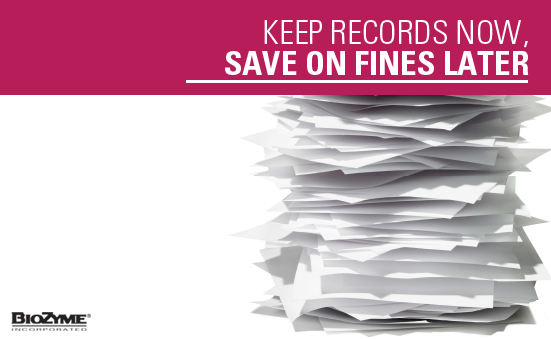 Remember, staying on top of your record keeping now, can save you time, headaches and dollars in fines in the future. A proactive approach to good record management will hopefully prevent a check-writing reaction in the future. It’s pretty likely a majority of your customers have heard of the Veterinary Feed Directive (VFD) that went into effect January 1. 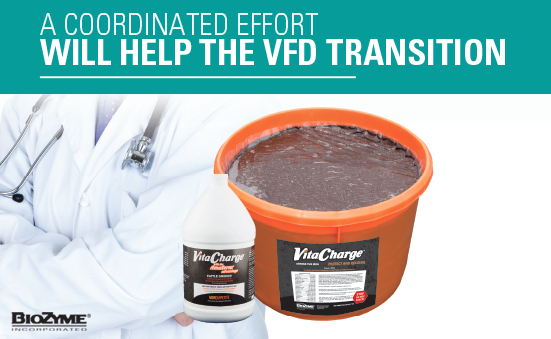 If a livestock producer has read an industry publication, attended any type of producer meeting or even picked up some literature at his or her local farm store, he or she knows that the VFD is here. But, do the producers understand what VFD means and how to coordinate efforts with their veterinarian and feed dealer for a smooth transition? “Bring up the VFD in conversation, and encourage producers to have an established relationship with their veterinarians,” says Kevin Glaubius, Director of Nutrition and Technical Sales with BioZyme®. Even though the VFD has been talked about during the past year, it is imperative to have a well-established Veterinary Client Patient Relationship (VCPR) before your animals get sick. In addition to encouraging producers to create a working relationship with a veterinarian, Glaubius suggests educating producers about the importance of proper nutrition. “Proper nutrition can help animals through times of stress to prevent sickness,” Glaubius says, adding that supplementing with the Vita Charge® Drench on arrival and a Vita Charge Stress Tub in the pen along with good nutrition in the bunk is a preventative measure against sickness during the weaning period that leads to improved animal performance as well. Once the VCPR is established, the vet will write the directive, which the producer will bring to the feed dealer. Although the directive can be faxed or submitted electronically to the feed dealer, he/she must store a hard copy for two years. Finally, the dealers need to make sure all forms are filled out properly before selling the medicated feed or supplement. Once paperwork is in order, the sales transaction can be completed. “Be patient. Be proactive. Make phone calls. Work with your veterinarian as much as possible,”Glaubius suggests. He reminds all dealers and producers there will be a learning curve in the first few months of 2017, as the VFD regulations are new to everyone. You can find a full list of frequently asked questions and example VFD forms in the Regulatory Section of the Online Dealer Center at www.biozymedealer.com. In addition, any dealer or producer with specific questions should contact Dennis Delaney, Director of Inside Sales, at 816-344-5748 with questions.